Alex is a Development Operations Engineer at Forest Devices. He designs systems and develops tools that help the team work quickly and effectively. 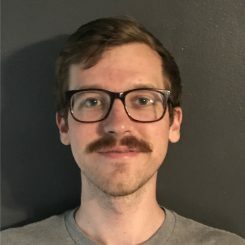 He regularly tackles diverse problems with creative, cost-effective solutions and is responsible for Forest's web services, databases and automation tools. Alex has worked for tech startups since 2013. He graduated from the University of Pittsburgh in 2012, where he studied Philosophy. This background informs his unique perspective on software system design. He is passionate about automated testing, symbolic logic and technology ethics.